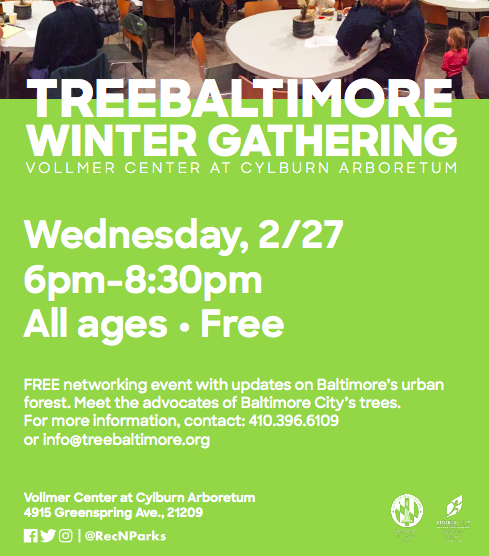 Join us at the TreeBaltimore Winter Gathering on Wednesday, February 27th from 6-8:30pm. This event is free, and will take place at the Vollmer Center at the Cylbrun Arboretum (4915 Greenspring Avenue). If you are having trouble getting a ride, give Sheila an email at sheila@baltimoretreetrust.org to see if we can set something up.